Avid just announced a new module for the Avid S6, the S6 Post Module, an option for both M10- and M40-based S6 systems. Designed for re-recording mixers and other audio post pros, this sound mixing/monitoring master module that enables you to switch between recorded tracks/stems and their inputs and punch into record. It offers two rows of 10 PEC/DIRECT paddles with solo and mute buttons. Each paddle includes a high-resolution OLED display to view track/stem names. You can also spill stems out onto adjacent paddles for individual control and customize Soft Keys on the 3.2-inch TFT. 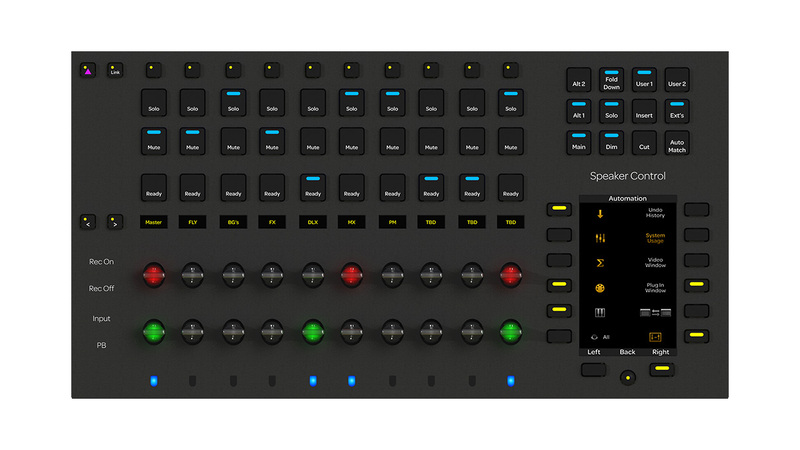 With dedicated monitor controls, the S6 Post Module greatly speeds up workflows, enabling you to quickly switch between monitors and dim, cut, or fold down your mix. And with VCA support on the paddles, you can easily control over 200 tracks to create the biggest, most immersive soundtracks.